The author of How to Fall in Love with Anyone explores the psychology behind love. A few years ago, Mandy Len Catron tried out a psychology experiment during a date. Mandy and her acquaintance asked each other a list of increasingly personal questions and ended the date by staring in each other's eyes for four minutes. She wrote about that experience in the Modern Love column of The New York Times — the article went viral. The experiment was designed in a lab to create romantic love and, ultimately, it worked for Mandy and her date. 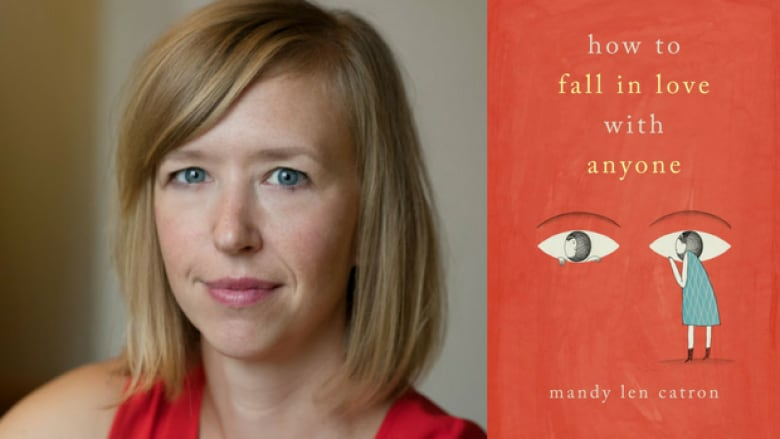 Love and relationships are the subjects of Mandy's first book, which is called How to Fall in Love with Anyone. Mandy spoke to Shelagh Rogers from Vancouver. This interview originally aire don Jan. 1, 2018. "I don't think you can fall in love with just any random person on the street. But what this study illustrates is that love is much more pliable than we imagine. We often think of it as something that happens to us, so many of our stories characterize it as this thing that happens to us — but we actually have a lot of agency in the process. I wanted to think about the role of love stories in our culture, about the gap between the ways we talk about love and how we actually practice it. So many of our narratives of love are pretty narrow. I looked at everything from the neurochemistry of romantic love to sociological theories of how we tell stories and what I found is that love is very much a documented biological process. But we also have a lot of choice about how we spend our days and who we spend our time with." "The most validating thing for a woman is being loved by an interesting or powerful man in the context of so many of our narratives — it's in a lot of Cinderella-type stories. There is something appealing in our culture about this belief that there are larger forces that act on us and absolve us of agency over our behaviour. When it comes to love, maybe this is something that we want even though it's not very good for us. But simple stories are almost never actually simple. To generate love in a more scientific way, there's a counter-narrative — it's you and another person that can decide what it is that you want to make." "I credit this experience with giving me a sense that I could trust this person. Whatever the nature of our relationship, I was just happy to know him. This is one of the things I struggled with when writing How to Fall in Love with Anyone. In the book, I am critiquing love stories and their role in our culture and I didn't want to reinforce these narratives with my own relationship. But the reality is that we are happy. It's a great relationship, but I don't think of it as something fixed or permanent. I try to think about it as something we are working on together." Mandy Len Catron's comments have been edited and condensed.